How do I enter my basketball club or school into the Buckinghamshire Basketball League? It’s easy! Just download and return signed copies of the League Rules and Team Entry Form together with the Surety Fee for each team entered by the date specified in the Team Entry Form for your entry to be considered. Cheques should be made payable to Buckinghamshire Basketball League. If you have any questions please feel free to contact us: info@bucksbasketball.org.uk. I would like to enter my school into the Buckinghamshire Schools County Cup Competition, what do I do? It’s easy! Just email Senior Competition Manager, Emily Clarke (eclarke@buckssport.org) with details of your school and the age groups you wish enter, don’t forget to check out the Schools Info page! I would like to learn to be referee/table official/coach, do you have any courses or programmes for me to learn to do this? The Buckinghamshire Basketball Association is committed to not just developing players but also Coaches, Referees and Table Officials within Buckinghamshire. Therefore we intend to hold training courses before the start of each Buckinghamshire Basketball League season for all of these. The Buckinghamshire Basketball League pays all of its Referees and Table Officials for their services so its is definitely worth getting qualified and getting in contact with us if you are interested. Details will be posted on the website as soon as this year`s courses are confirmed. If you have any questions or queries please email: info@bucksbasketball.org.uk. I am a player living in Buckinghamshire can you tell me where my local team is? Of course! We would love to help you find a team that is close to you to help you further your basketball skills. Please check out our directory of clubs based in Buckinghamshire or alternatively contact us with your details including name, age, gender and where you live and we will be happy to recomend a Buckinghamshire Basketball League club for you to join, just email: info@bucksbasketball.org.uk. I am interested in representing Buckinghamshire in the Inter-County Tournament, how old do I have to be? 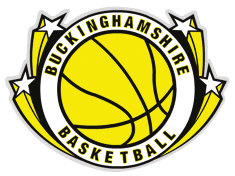 The Buckinghamshire Basketball County Squad’s for both Boys and Girls operate for the U13’s age group each year. This can get a bit confusing sometimes as it goes by year of birth and so often players in the same school year are not always eligible. To find out whether or not you are eligible to be considered for selection and any further details about selection for the Buckinghamshire Basketball County Squads please email the Performance Pathways Coordinator: PerformancePathways@bucksbasketball.org.uk. I have heard about the County Performance Centre (CPC) What is it exactly and how do I apply? The County Performance Centre (CPC) is a new initiative from the Buckinghamshire Basketball Association designed to raise skill levels within the sport of basketball among young people aged between 10-12 years old within Buckinghamshire. The programme will be holding invitational trials each year (launching in October 2010 for those born in 1998, although outstanding players born the following year may be included). Keep an eye out on the website for news of the next trials date, check the Pathways link for further information or email: PerformancePathways@bucksbasketball.org.uk. I already play for my local club in the Buckinghamshire Basketball League but I also want to play at the National League level, how do I do this? Buckinghamshire has several clubs entering National League competition at various ages such as Aylesbury Dux, Bucks Hornets, Chiltern Pumas and the MK Lions. All players are encouraged to try-out for National League teams but if you don’t make it and even if you do remember the Buckinghamshire Basketball League remains committed to developing basketball players in Buckinghamshire and is a perfect opportunity to learn the sport and get as much competitive game experience as you can. Being selected to play for a National League squad should not replace your Buckinghamshire Basketball League club, you are encouraged to do both! Copyright (c) 2017 Bucks Basketball.